My 12 year old grandson was to listen. But he admitting lost his attention. I took the time to finish the book. Being a 63 year old man, it was a pleasant listen. The reader Mary Hunt was great. The story, from my view, was a predictable love story. 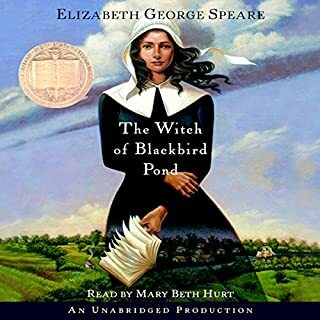 Kit, the main character was in first person, had a tough time finding herself in 1700s Puritan New England. It actually creeped me out. She had hard time and few good times. Everything lead up to her love interest making all things right. A lot of liberties were taken to complete story. You can find out for yourself. Not bad, not great. Would suggest to young ladies. The America’s Cup, first awarded in 1851, is the oldest trophy in international sports, and one of the most hotly contested. 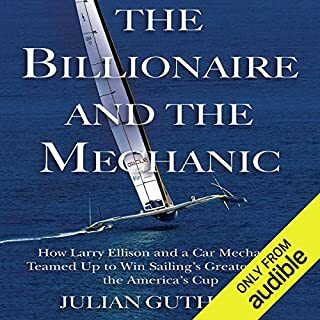 In 2000, Larry Ellison, co-founder and billionaire CEO of Oracle Corporation, decided to run for the coveted prize and found an unlikely partner in Norbert Bajurin, a car radiator mechanic who had recently been named Commodore of the blue collar Golden Gate Yacht Club. I'm a mechanic, and a radiator shop owner. And a sailor. I was told to read this book. My grandson and I drove east coast to west coast. I bought the Audible version. The story is authentic. The facts are real. No fluff. What these two men did was a real adventure. Mark Ashby did a wonderful job. When my 12 year old grandson ask for me to turn on the book, well that says it is a good listen.